Lovely Fashion Alterations Involving Lace That Will Make You A DIY Pro! Been on the lookout for the perfect DIY project for the weekend? We have a novel idea... bust out the sewing kit and a roll of pretty lace trim, we have a couple of pretty alterations in mind for your wardrobe. Lace trims are one of the easiest additions you can add to your clothes, shoes and accessories. They can be sowed or stuck on with craft glue to your fashion items seamlessly and none being able to tell the difference. Even the novice sewing hands can work with lace, to alter their otherwise solid closet items into something beautiful and creative! 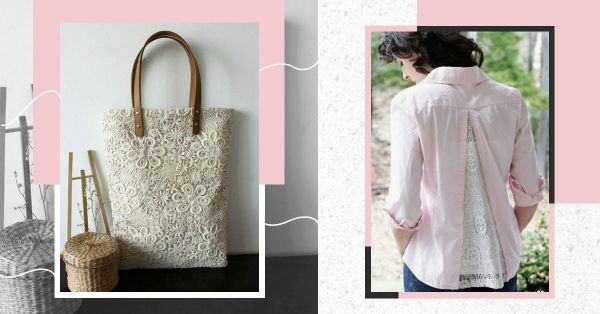 These are some of the things you can achieve with lace, without taking the help of your masterji! The hems of your bottoms are like a black canvas open for business! Cut off rounds of lace trims and sew them to the hem to add an extra layer of fun on solid shorts and jeans, the combination is a tried and tested success in denim styles. 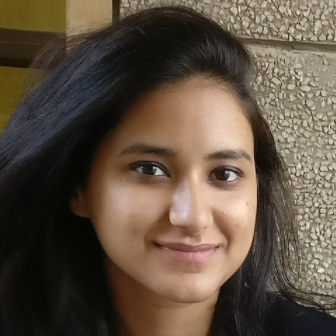 Most of your sleeveless tops and blouses can be upgraded to their fancier versions by sewing on some lace trims on the ends. 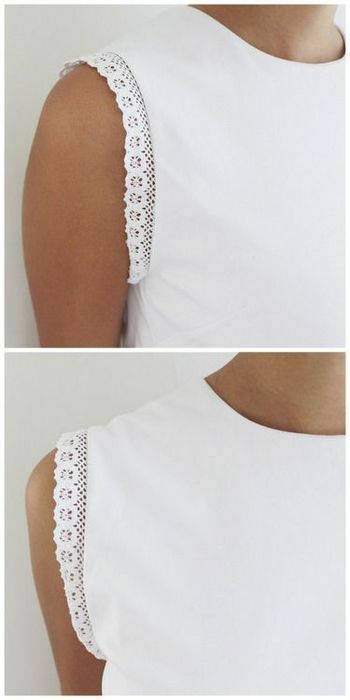 This also works with long sleeves, which can either be split open or altered at the hem to add the dainty lace details. This one might require a bit more attentive detail than the rest. 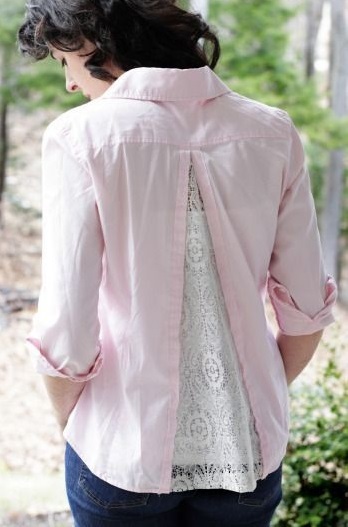 Transform the backs of your button downs and long tops with a lace layer showing off through the solid fabric. The trick is to cut an inverted 'V' along the spine of your shirts and sew the lace and ends of the fabric shut. You can do the same with the yoke and sides of your shirts as well. Ballerina flats and plain heels shoes can be given a lacey treatment as long as they are made of a fabric upper. While you can get these sewn on by a professional cobbler, they can also be stuck on with craft glue for added details on your otherwise regular shoes. 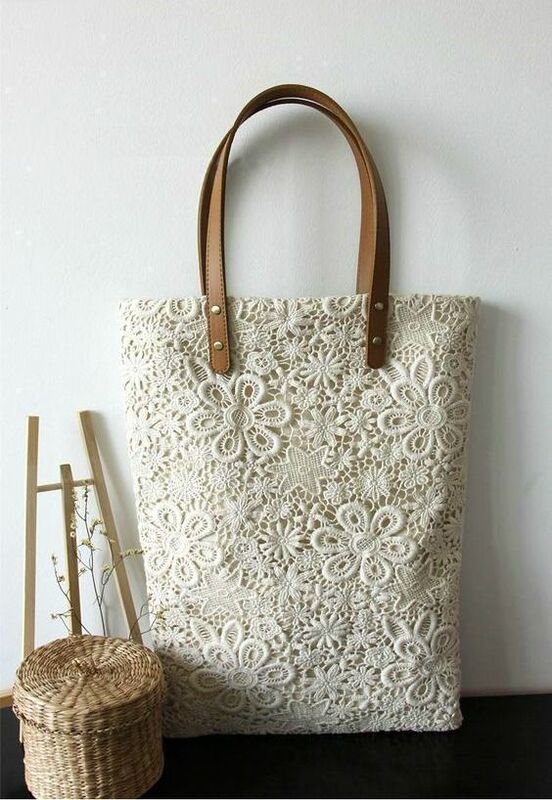 We love a pretty tote, more so if it's been treated with some pretty lace details. you can alter almost all of your suede and fabric handbags with tace cuts outs and overlays, make sure you are using complementing colours for the bags. This one is for the lovers of all things lace and OTT embroidery! Pick out your old shirts and jeans, layover lace trim on big patches of fabric to create a fresh new look. Make sure you don't overdo it, so much so that the original fabric gets lost under a net detail. You can even add them under your skirts and let a bit of it peek out from underneath. While lace trims go superbly well with western outfits, there are but a few ethnic fabrics that go well with it without looking cheap. 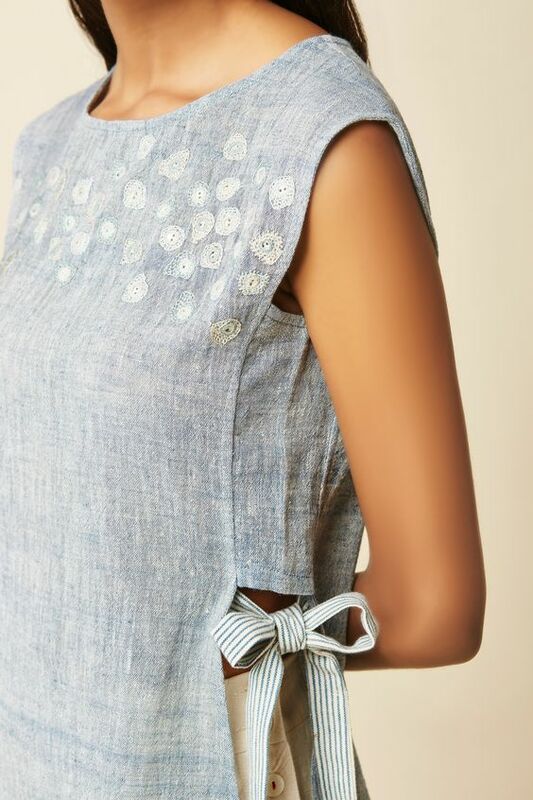 Our idea is to cut out adorable little pieces of lace and stick them on to your cotton kurtis to transform your everyday ethnic essentials.